So, we went got 40 lbs of seconds so I could make sauce to freeze and salsa. my daughter did all the sauce, so that was great. Then this morning I made the salsa. 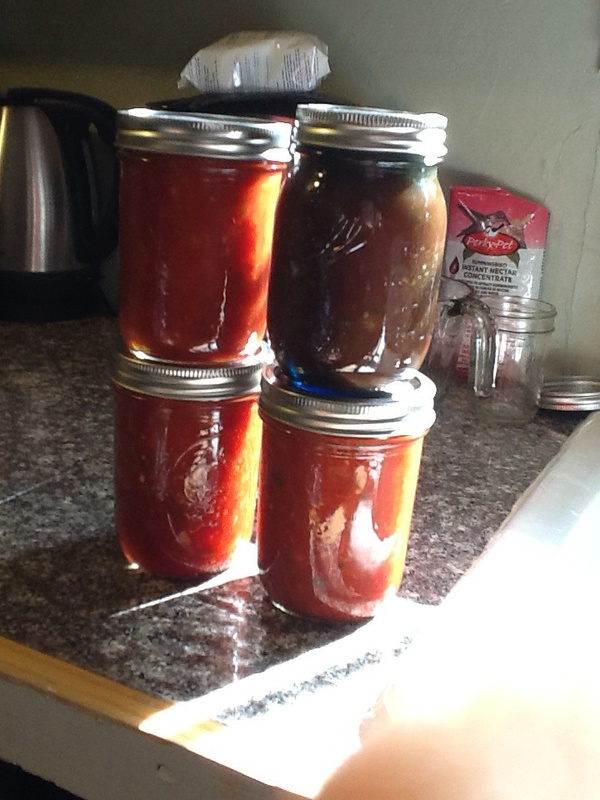 I haven’t really canned tomatoes befor so I’m a little nervous, but I followed the amounts and….there it is. The one darker colored jar is the blue ball jars they put out last year. its not a dex week so I feel pretty good. Yeah!